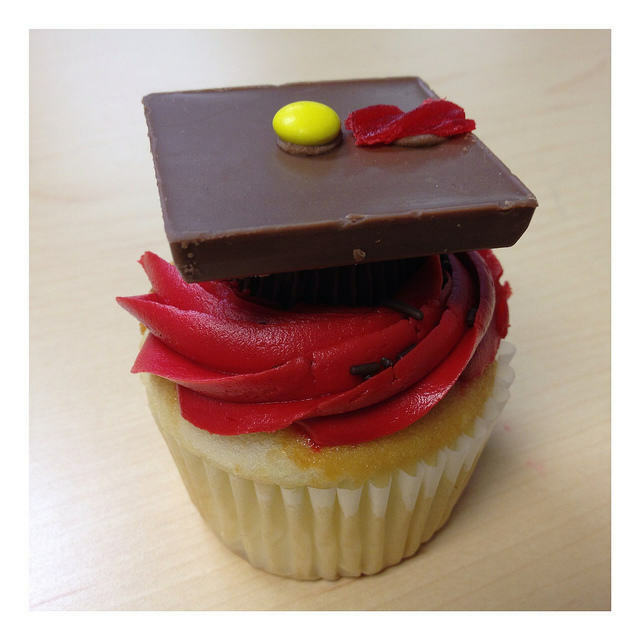 Need a few graduation cupcake ideas for your graduate? 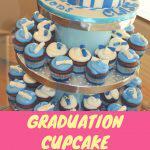 You don’t have to be a trained cake decorator to have some great looking cupcakes for your graduate of any age. Serving cupcakes at your graduation party? 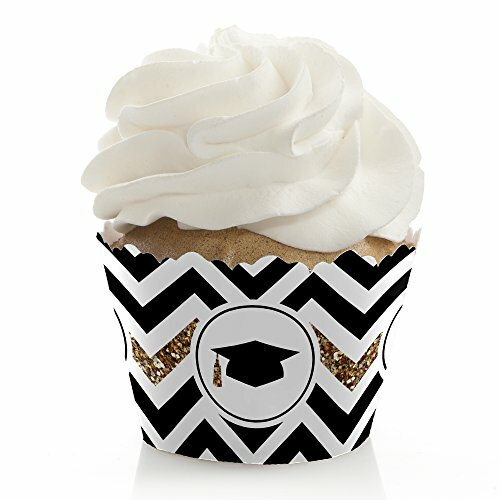 Need a few graduation cupcake ideas for your graduate? 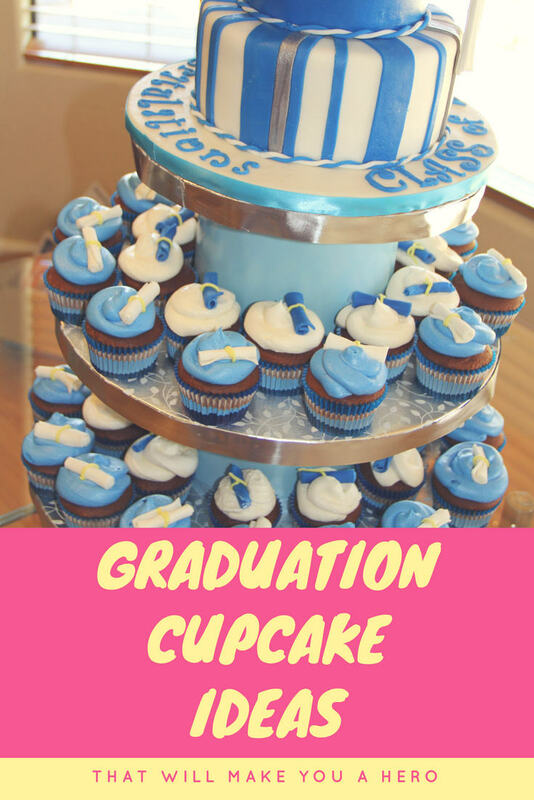 Themed cupcake decorating is all the rage, but you don’t have to be a trained cake decorator to have some great looking cupcakes for your graduate of any age. 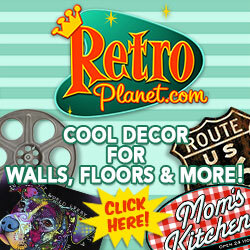 All you need are the right tools and some fun cupcake ideas to delight your party guests. 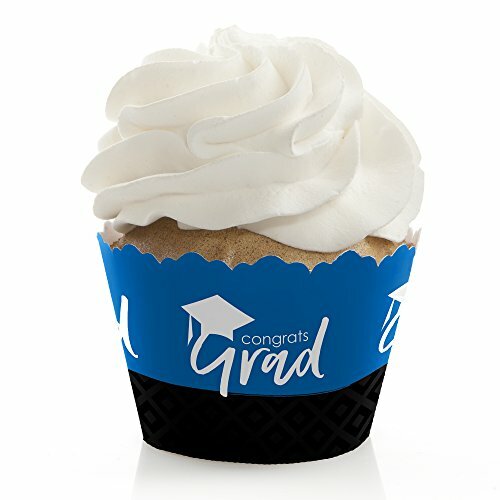 Graduation cupcakes add a warm, loving touch to your party. Cupcakes are so cute AND cool! As much fun, if not more, than decorating cakes, I think. Maybe it’s just me, but cupcakes can be so…expressive! 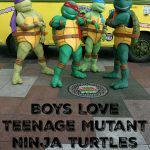 LOL Not to mention delicious! 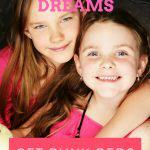 Let’s take a look at some easy cupcake ideas and have some fun! 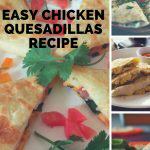 Easy is the name of the game when you are planning a graduation party! After baking and frosting your cupcakes, press the Mini Reese’s Cups into the frosting of your cupcakes. Take some graham cracker squares and dip them in melted chocolate and “glue” them to the top of the peanut butter cups with a little bit of frosting. 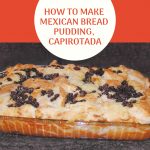 You could also use Ghirardelli chocolate squares if you don’t want to use graham crackers. Make the “tassels” from licorice strips (like Twizzlers) or from fruit leather like Fruit Roll Ups. If you just want to use fondant, cut and roll some thin strips. 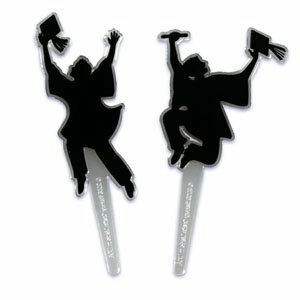 You can “glue” these onto the top of the graduation hat with a dot of frosting. Top it off with an M & M or jelly bean in the center of the hat and wallahhh! Graduation Cap Cupcakes. 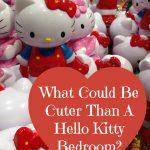 Now from there, you can use your imagination! Either dip the graham cracker squares into white chocolate candy that you can color with food coloring, or use colored M & M’s. 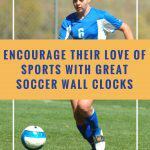 This way, you can show school spirit! 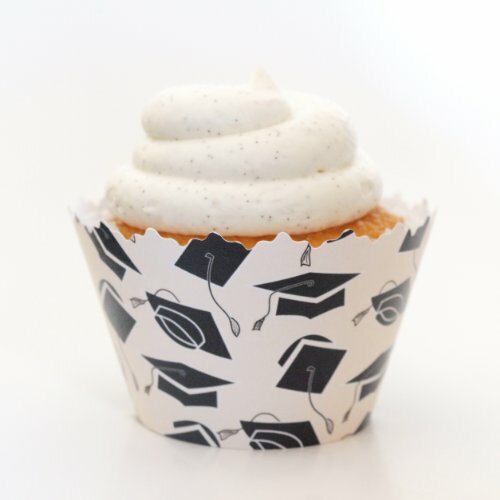 Stylish graduation cupcake wrappers make your cupcakes look so elegant. If you’re short on time like most busy moms, decorating cupcakes just isn’t in the cards for the party. 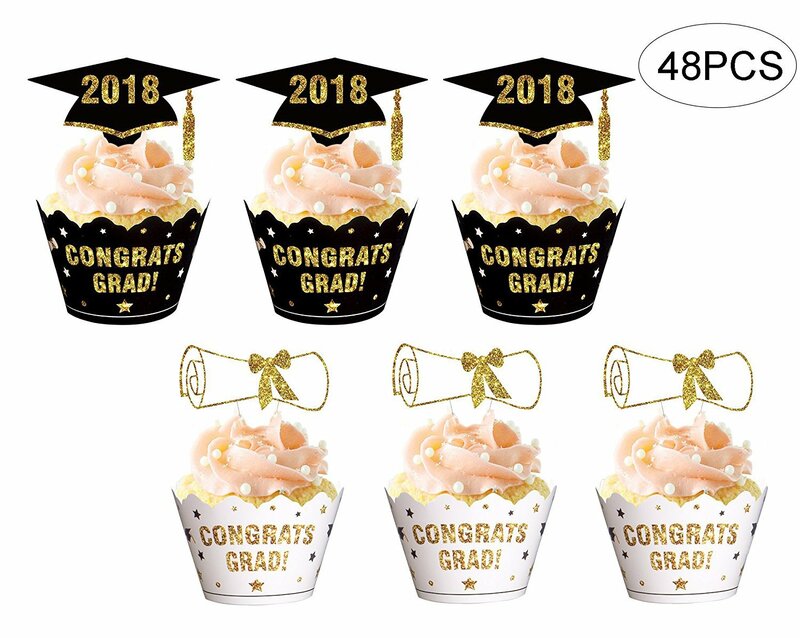 That’s ok, let graduation themed cupcake wrappers do the decorating for you. This selection of graduation cupcake wrappers is stunning! Don’t you love to look at all the wonderfully decorated cupcakes out there? Some of them are so professional-looking that I never thought I could do anything like that, so my cupcakes were always so plain jane. 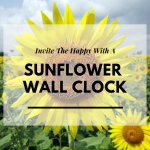 I searched and searched for ways to give my cupcakes a little more snap in the “visual” department. And what did my eager fingers find? Oodles and Oodles of baking cups, toppers and sticks to decorate with. Add some sprinkles, M & M’s and we’ve decorated a cupcake! And oh, all the ideas out there! What helped me the most was to study that beautiful decorated cupcake & figure out how I could make it myself. 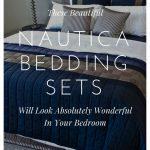 Easy can look so wonderful! 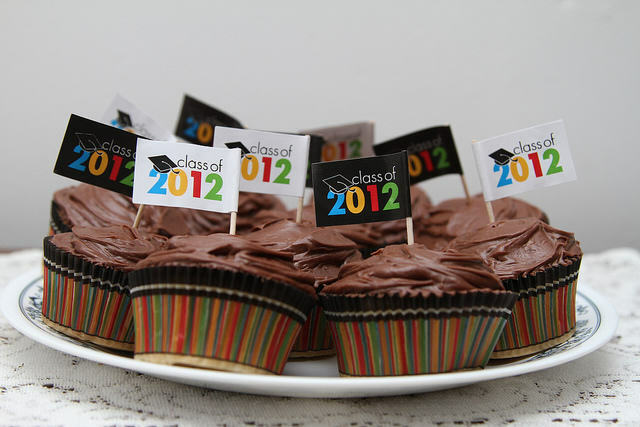 These cupcakes looked fabulous with chocolate icing and those 2012 graduation toppers. Keeping it simple is always a good way to go if you’re not sure of yourself and cupcake decorating. 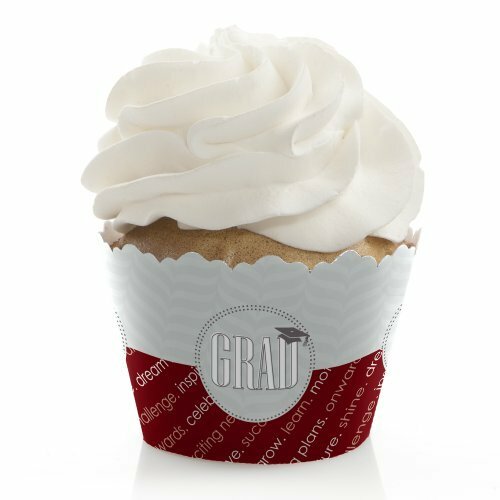 You have so much to do for the graduation that you shouldn’t have to worry about spending a lot of time on decorating the cupcakes! The important thing is to decorate them with all the love and affection you have for the graduate. 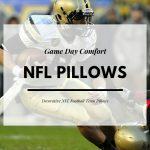 They’ll be perfect! 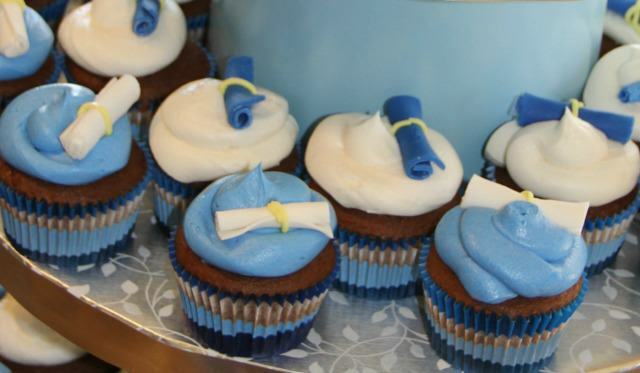 Have some ideas for this year’s graduation cupcakes yet? 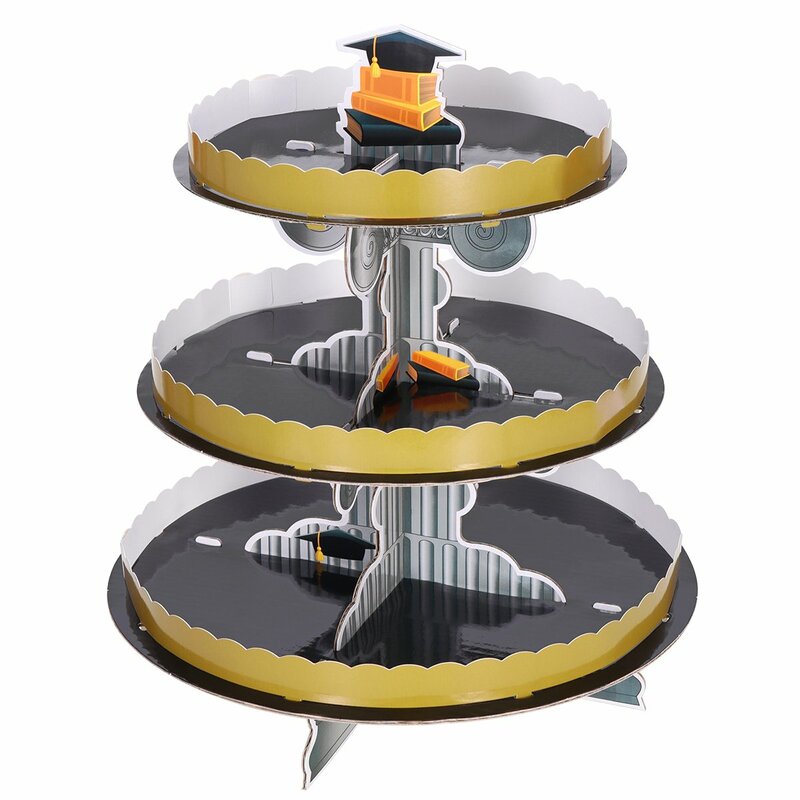 One of these graduation cupcake stands would be the ideal center of attention at your graduation party! There’s a wonderful selection of cupcake stands on Amazon. 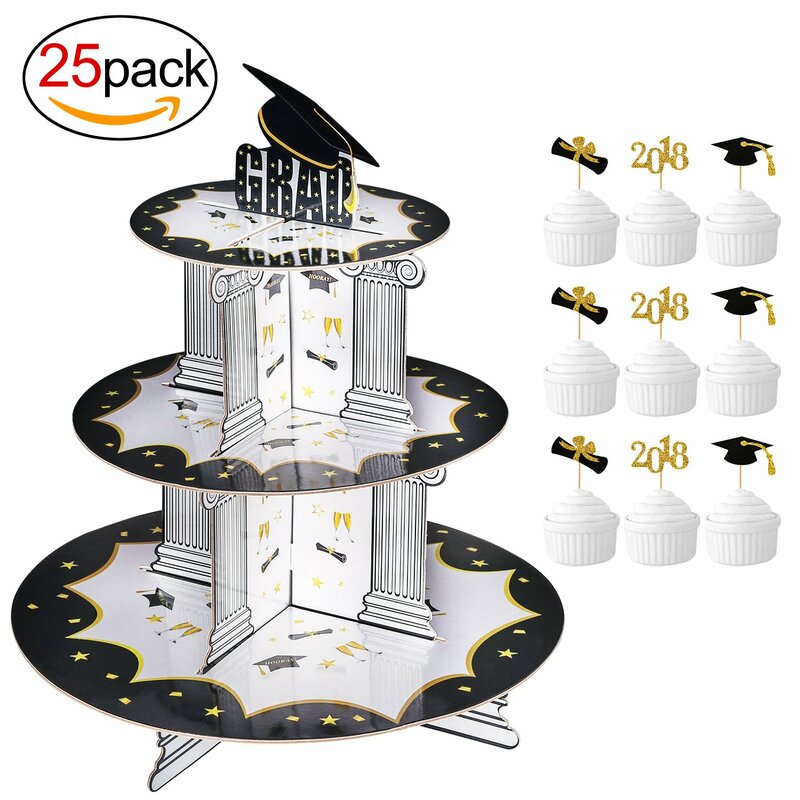 A themed cupcake stand goes a long way to showing off your graduation cupcakes. 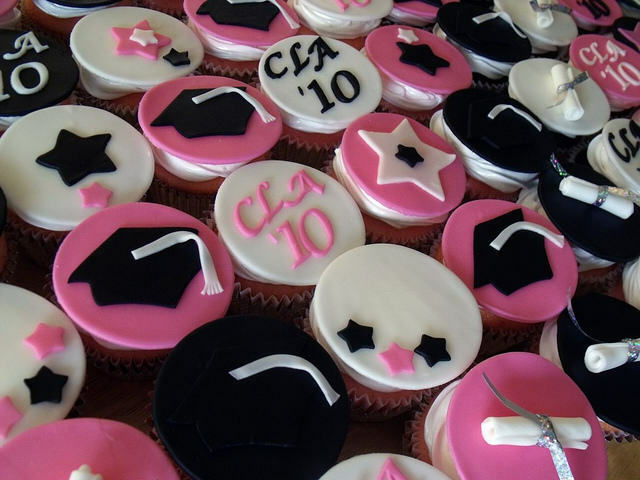 These are lovely, formal looking graduation cupcakes, aren’t they? The diplomas can be drawn on easily but the choice of color can make a difference depending on whether you want this more formal look, or to show school spirit, use school colors. 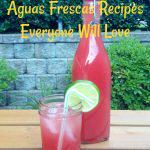 Use your graduate’s favorite color or the party theme color. Add edible glitter for some shine. 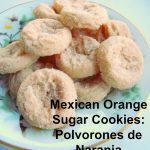 Draw them onto fondant cutouts or even thin cookies and then put them on the cupcakes. It’s nice to have choices! Really pressed for time for the graduation party? 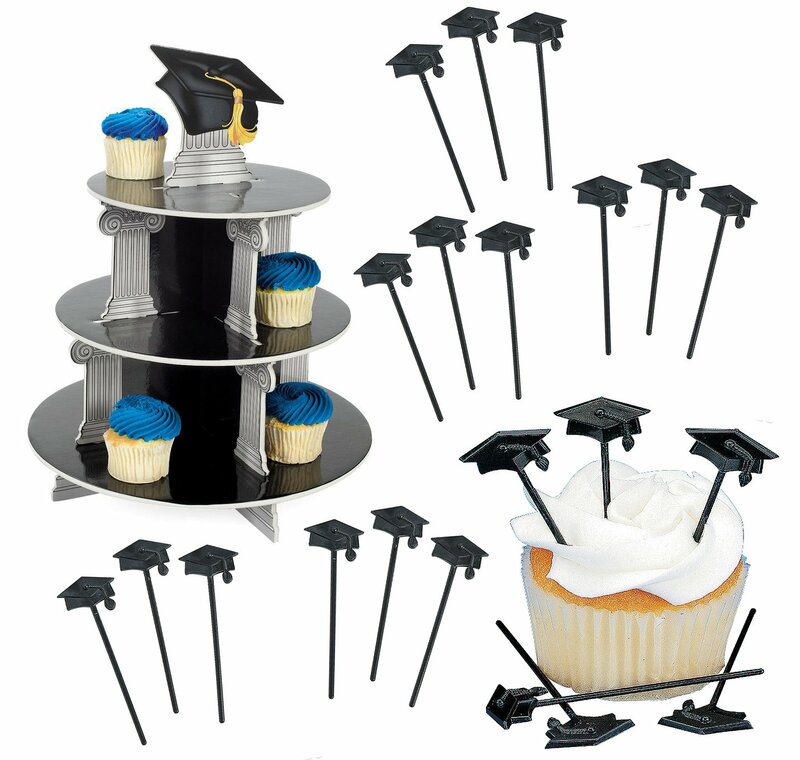 Take a look at this cute assortment of graduation cupcake picks and see if any of them will work for you. Nothing like a cupcake pick to add a little snap to plain cupcakes, without having to spend time making the cupcake decorations. In fact, if you find some really snazzy picks, use them with some nice cupcake wrappers or baking cups and VOILA! 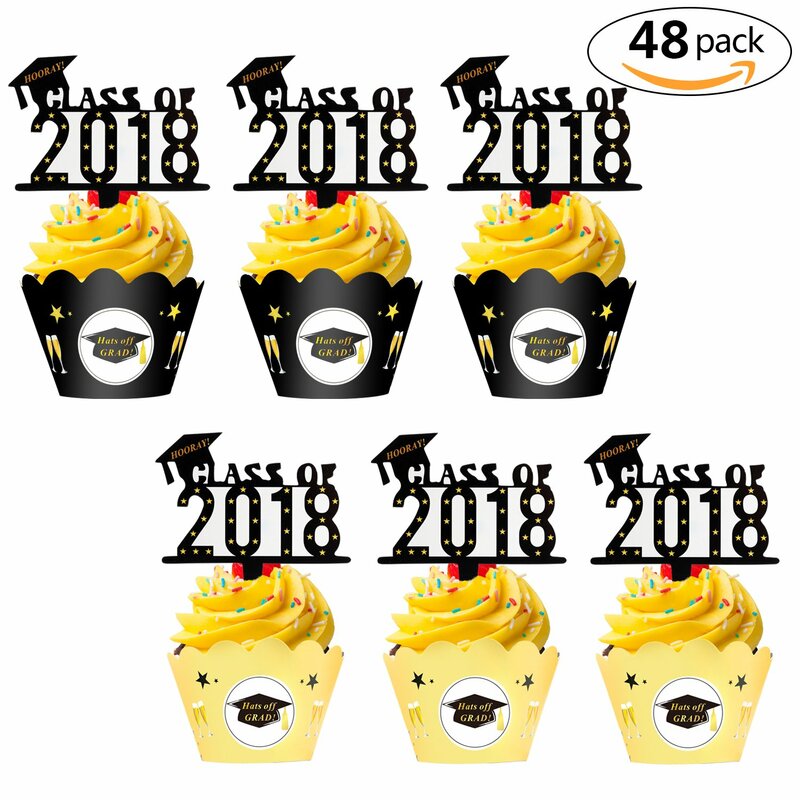 You have graduation cupcakes ready to go! Roll up a smallish piece of parchment or regular paper to resemble a diploma. Tie a ribbon around the middle with a short piece of ribbon OR fruit leather (like Fruit Roll-Ups). 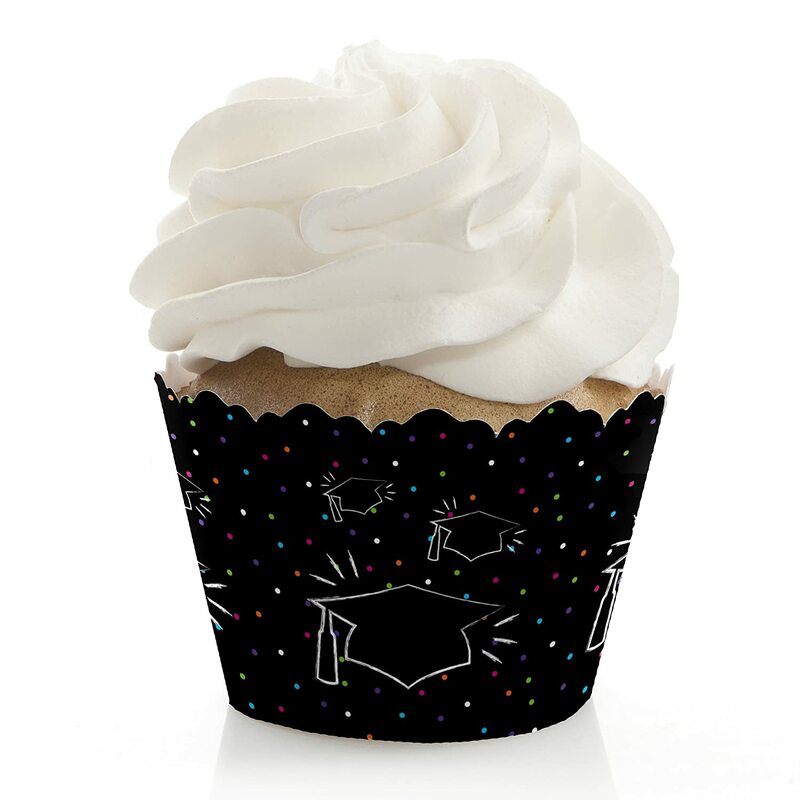 Press the “diploma” into the frosting on your cupcake and there you are! 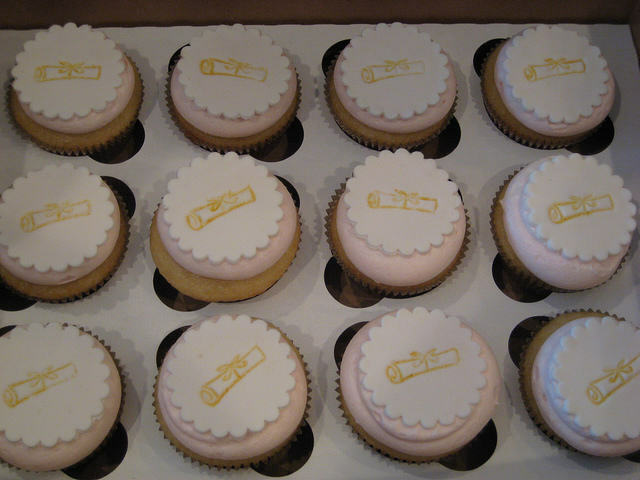 Graduation Mini Diploma Cupcakes! You could also use fondant to make the little diplomas. 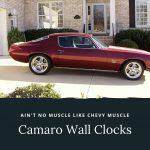 Roll some out thinly and cut out small rectangles. Roll those little rectangles into ‘diplomas’ and place on your cupcake. Either drizzle some icing across the diploma as in the picture. The fun thing about using fondant is that you can color it to match their school colors. Tip: Take the opportunity to write short messages, brief quotes or funny sayings on the paper. Keep it short! 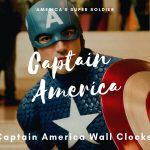 This will add a bit of extra interest for everyone! 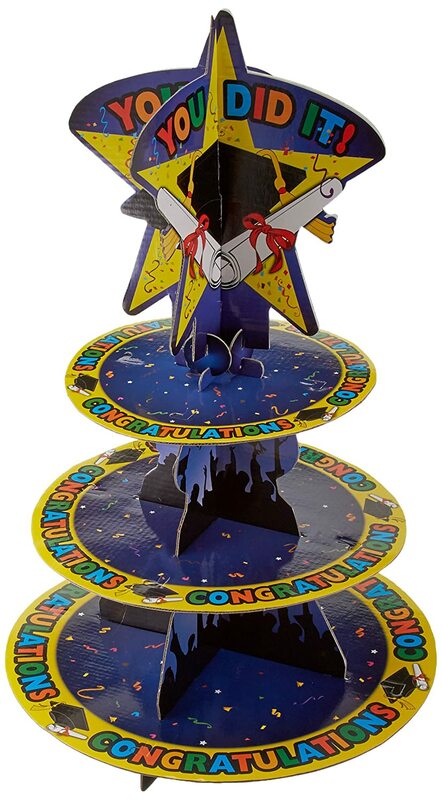 The selection of graduation cupcake decorations at eBay is totally irresistible! 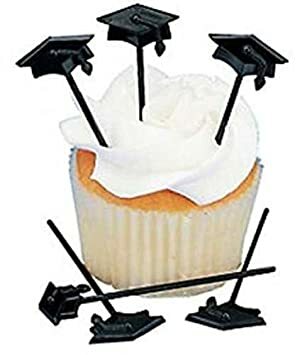 It’s fun to look at all the graduation cupcake decorations because sometimes you get even more decoration ideas that way! 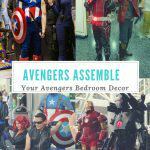 eBay is terrific for finding all sorts of party goodies and graduation cupcake decorations are plentiful. 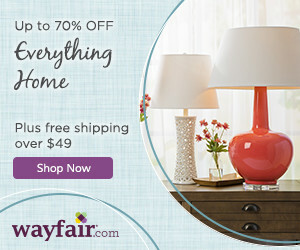 Buy from an experienced eBay seller with good feedback and you won’t run into any problems. 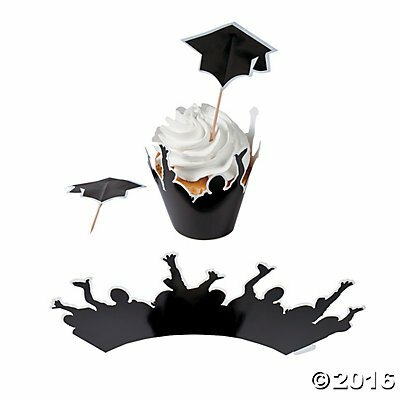 Now the only problem is to choose from all these fun graduation cupcake decorations!